March is packed with everything from rodeo, baseball, March Madness and more. Whether indoors or out take time to experience all that is kickin’ in and around Katy this month! Grab your boots and get ready to Giddy up! Check out www.rodeohouston.com/Visit-the-Show/Music-Concerts/Concert-Lineup for all the details on schedules and concert lineups. 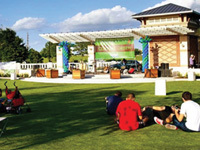 The Willow Fork Drainage District’s Central Green is a family fun environment with a variety of events, some of which include home school classes, Tai Chi, festivals, concerts and more. Events are free to the public. Picnic and lawn chairs are always welcome! Visit willowforkdrainagedistrict.com/central-green for more details. The Leonard E. Merrell Center is home once again for the Southland Conference Men’s and Women’s College Basketball Tournament. Southland Conference teams from around the South Central United States will compete to win a bid to the 2018 NCAA Tournament. Tickets available online and at the Merrell Center box office during the event. For more information, visit southland.org or contact the Leonard E. Merrell Center at 281-396-2562 or at merrellcenter.org. Visit www.katyisd.org for more details on all that is happening in Katy ISD. Come celebrate St. Patrick’s Day with this family friendly event. The course is flat and fast! 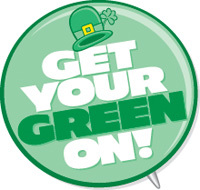 Dress in your favorite Leprechan outfit and have some fun! Stay after the race for food, fun and plenty of beer. For more information visit luckycharm5k.com. The Class of 2018 Senior Men of Taylor High School “strut their stuff” in a fun competition to benefit Project Grad. Contestants will compete for the title of Mr. Mustang and will be judged on many things including their interview, talent and college wear fashions. Don’t miss it! Visit the THS Project website at thsprojectgrad.com for more details including time and ticket prices. Enjoy this family-friendly community event featuring live entertainment, kids zone, wine and beer vendors and specialty cuisines and plenty of delicious food from over 20+ Katy area restaurants. Visit katytastefest.com for ticket information and more.